Mention the word ‘meditation’ and you’d be hard-pressed to find someone who doesn’t have a say on the matter. 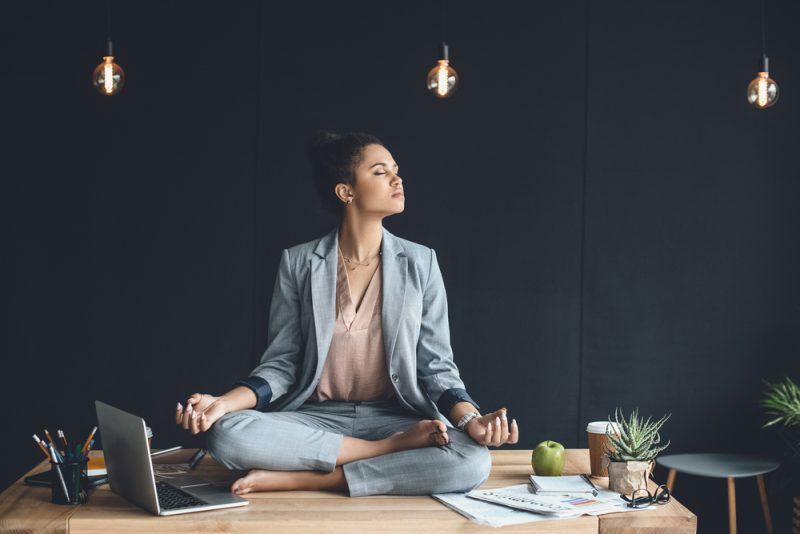 In friend circles or online, it seems there is no lack of information on meditation and mindfulness these days – and for good reason. Meditation has won the hearts and minds of many and may be one of the single most transformative practices you can adopt to change your life…for the better. Despite the recent surge in popularity and research, meditation still feels out of reach for many people. 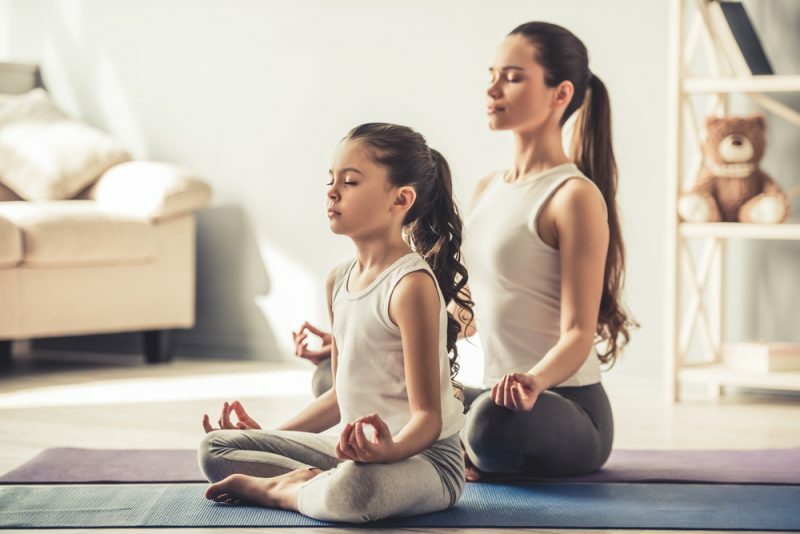 While there might be a desire to start mediation, or to increase the frequency or length of one’s practice, many beginners feel overwhelmed or unable to meditate regularly. The truth is, meditation is for everyone. Different meditation styles support different types of people, schedules, and mental and emotional needs. There is no one “right” way to meditate, but a few right ways to start. Meditation has a long history in both Indian and Asian cultures over 5000 years ago. Some of the first documented references to mediation were found in Hindu scriptures, with varying ideas coming out of Confucian and Buddhist China and Japan as well. Other cultures and religions such as Islam, Christianity, and Judaism also developed their own versions of meditation and prayer. 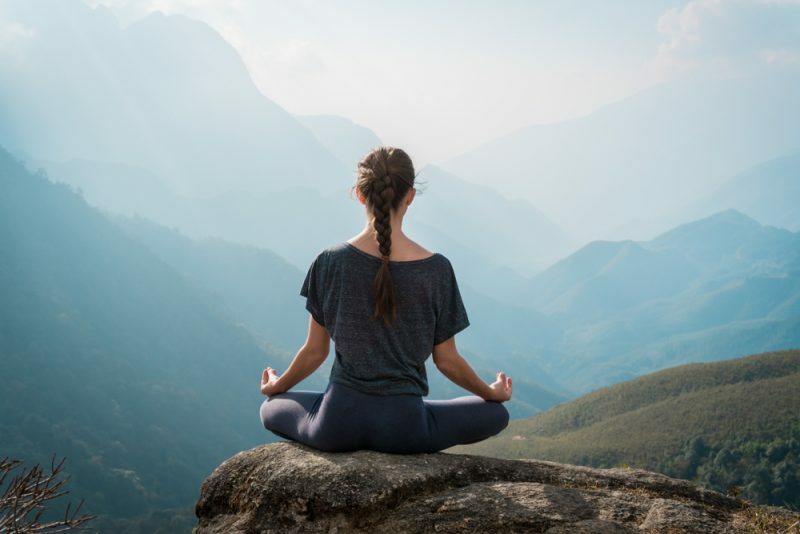 As meditation practices spread more widely through the west in the late 20th century, its power and benefits quickly began a topic of discussion among medical and wellness circles. Studies were designed to track the effects of meditation on the brain and specifically our “fight or flight” or stress response. 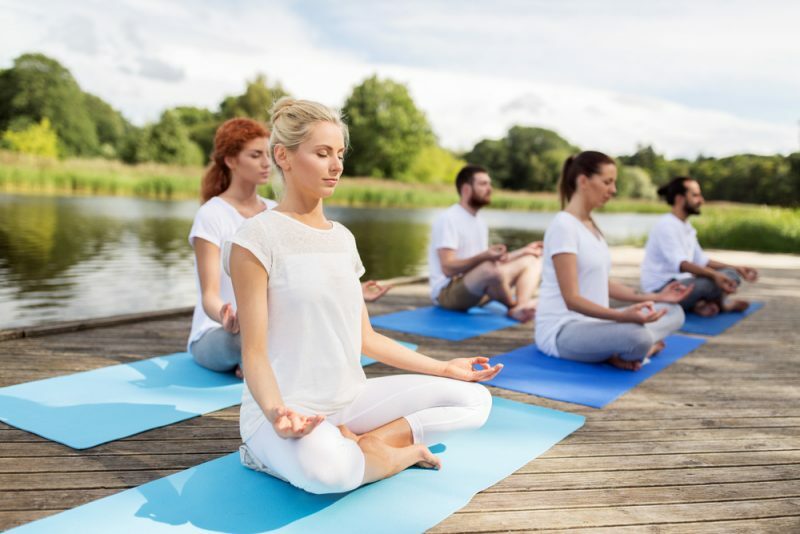 Since then, meditation has gained credibility among doctors, scientists, psychologists, yogis, and even the public as a beneficial form of therapy for a wide variety of ills, in addition to general wellbeing. There are many different types of meditation, including varieties like Zazen and Transcendental. 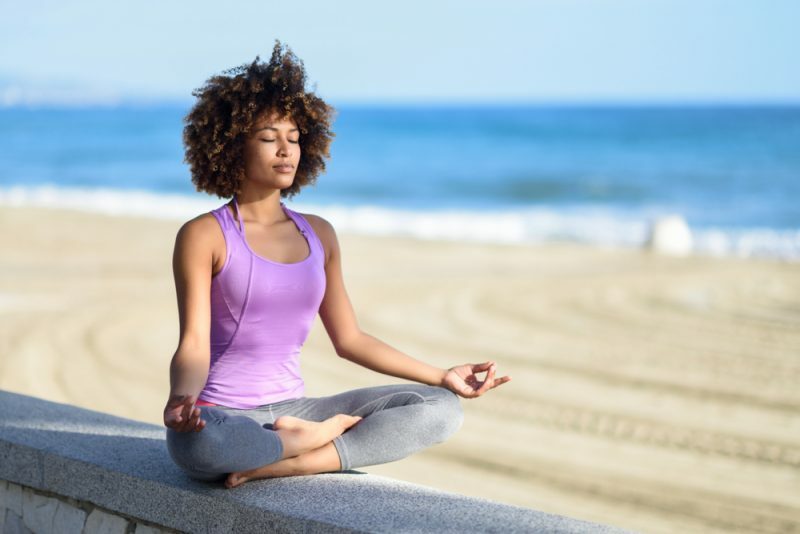 Today, meditation is a commonly used buzz-word and people all over the world are adopting a meditation practice to help reduce stress, improve mood, increase happiness, and even relieve pain. If you have been considering taking up a meditation practice, check out these helpful tips for the beginner (or dedicated student). 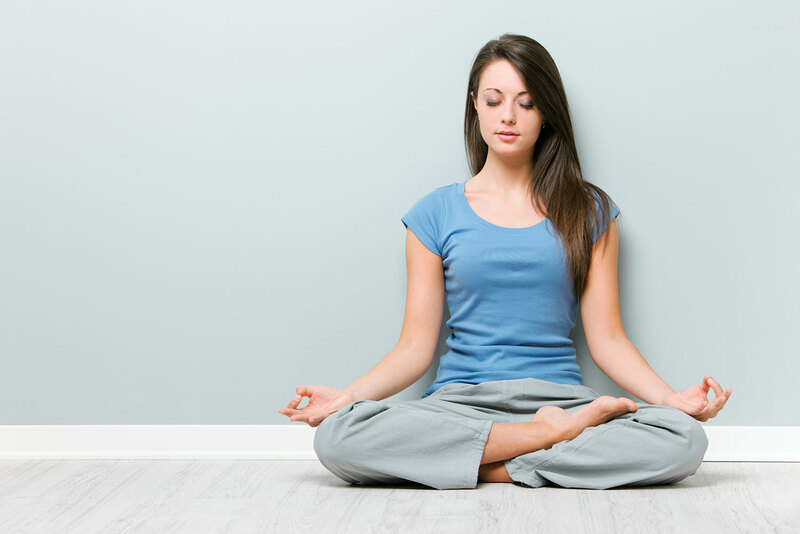 You’ve heard about the amazing benefits of starting a meditation practice. Perhaps your coworker has started meditating and you’ve noticed they seem to glide through life a little easier. Or perhaps your doctor or yoga teacher has recommended it as an at home practice. To fully embrace the idea of meditation, you’ll need to let go of any preconceived notions you may have of meditation. The practice is not just for wholesome Buddhists or those with a clear mind. Actually, let’s debunk that idea right now: you don’t have to have a clear and free mind to meditate. In fact, much of meditation is actually the practice of observing your thoughts as they come up and letting them move through you. Secondly, meditation knows no religion, although if you would like to bring your spiritual or religious practice into your meditation sessions, feel empowered to do so. Another myth: you must sit crossed-legged for hours to meditate. This might be your style, but there are many positions you can take to meditate. If floor-sitting is uncomfortable for you, try sitting with your back against a wall, lying comfortably on the floor or on a yoga mat, or even a walking meditation. To start meditating, you don’t need a whole hour per day. You can start a practice with just five minutes. As you increase your practice, you’ll find yourself craving more time and easily carving out meditation into your schedule. If you’re trying to clean up your inner world, it helps if your outer world follows suit. It can be difficult to find peace and serenity when your environment is full of clutter, work papers, and disorder. You want your meditation area to be a sanctuary and inspire peace inside and out. To create a beautiful meditation space, pick an area of your home where you’d like to do meditation every day. It can be an entire room or just a corner of your bedroom. Make sure that space, wherever it is, is always clean and tidy. Don’t allow anything to collect here. Place a beautiful photo or painting that you enjoy in this spot, or perhaps a cushion, incense, crystals, candles, or keep it plain and simple. 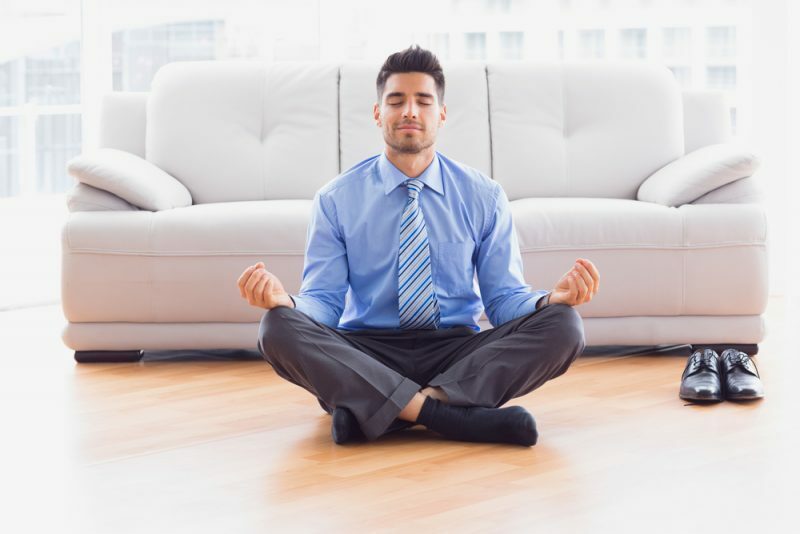 Intentionally dedicating an area of your home to meditation helps to encourage daily practice and keep you on track. Plus, it’s great motivation when your space is lovely and all your own. Everything is easier with a buddy. Letting someone know that you are embarking on a meditation journey will not only help you stay on track, but it may help encourage others to take part in the practice as well. Find a friend or family member and let them know about your intent to start meditating. Ask them to hold you accountable and keep you motivated in your goal. It’s even better if they take up a meditation practice, too! There are an amazing number of apps, websites, guided meditations, videos, and soundtracks geared towards helping people meditate more frequently and effectively. If you are someone who benefits from having a bit of technology keep you on track, don’t hesitate to use this for your meditation goals as well. Apps like Calm, Simple Human, and Headspace all offer daily meditation, programs, and habit tracking to help you develop a well-rounded practice. Try meditation timers like Insight Timer. Youtube offers a wealth of guided meditations for a variety of topics or issues. There are even devices like Muse that use EEG sensors to record activity in your brain while meditating. Interested in using sound to help you meditate? Look into the solfeggio tracks that can actually help to encourage deep awareness by stimulating the meditative brain waves. Many of us hesitate after trying meditation due to the simple fact that our minds kept on chattering despite our hard efforts to turn off! Don’t let this keep you from your practice. Training the mind to remain calm and quiet is the very purpose of meditation, and the result of many, many hours of just that: training. A better way to evaluate your meditation sessions is through actually digging into that dialogue that arises. What does your brain say when you’ve left it to wander? Take note of these thoughts that come up, thank them, then release them. Return to your breath. Another thought will likely take its place. Release. Repeat. It can be a helpful practice to jot down a quick journal entry after your meditation session. How did you feel? What thoughts were predominant? Are you surprised about what came up? What can this tell you about what’s going on in your inner world? Sometimes when we get really quiet, the brain feels safe to express thoughts that it has been holding on to. Listen. One of the best ways to supercharge your meditation practice is to start paying close attention to the details of your everyday life. Mindfulness is a simple practice that can be done anywhere. It involves clearing your head of judgement and accepting that which is occurring in the moment. You can practice mindfulness by simply observing your breath, as you do in meditation. You can also practice mindfulness of your environment. What sounds do you hear? What do you see? Try to avoid judging these stimuli; simply observe and accept them. Paying attention to the little moments of life will help you to focus and drop deeper into your meditation practice. The breath is the absolute best and most reliable tool when it comes to establishing a confidence in meditation. If you are a beginner, the breath is also the easiest place to start. When your mind gets too drawn into thoughts, or if you have no idea how to start meditating, return to the breath. Focus on the entire cycle of a breath, from the swoosh of air that brushes past your nostrils, to the rise of your chest and belly, to the small pivot that occurs between inhale and exhale. Feel your torso collapse as the breath leaves slowly and the process begins again. In its most simplest form, meditation is this: the simple observance and gratitude for each breath we take. Release all else, this is all there is in the moment. And it is a beautiful thing. Like nearly any skill or practice, meditation takes dedication and regularity to be truly impactful. The great news is that all you need to start is your breath and five minutes. As you continue to practice and play with the power of meditation, you will find that you gain momentum. Your attitude and disposition change, your wellbeing improves, and you start to see the world in a better light. In fact, you start to make the world better just by changing your mind. Don’t let fear or poor confidence keep you from expanding your mind and tuning into the beautiful power you have within you. If you are a beginner to meditation, welcome! Congratulations for starting on this path and learning something new. We are all students in life, after all.